FRESNO – UCSF Fresno Medical Education Program wrapped up another successful recruitment period on March 21 – this year’s Match Day. As a result, 100 new physicians will start their residency and fellowship training at UCSF Fresno this summer. One of the incoming medical residents is Andres Anaya. Anaya conducted third-year rotations in obstetrics and gynecology and surgery at UCSF Fresno last year. A Fresno native and graduate of the UCSF School of Medicine, he will return to UCSF Fresno in July to begin residency training in emergency medicine. Anaya’s path to becoming a physician was anything but typical. Anaya was born the eldest son of Mexican immigrants, both of whom are deaf. His first language was American Sign Language. At the age of 5, he began translating for his family. Economic, cultural and social challenges soon led to academic difficulties for Anaya at school. After graduating from high school, he took a job in a tire factory where he suffered an industrial accident. The accident landed him in the emergency department, leaving him temporarily paralyzed and physically and emotionally traumatized. It took several years to overcome his injuries, but from then on, he set his mind to becoming an emergency medicine physician. Match Day occurs every year in March and is the time when medical school graduates learn where they will spend the next three to five years conducting the postgraduate training necessary to practice medicine in the United States. Medical residents who wish to continue their training beyond residency also may take part in Match Day. As part of the process, medical school graduates and residents typically register with the National Resident Matching Program (NRMP). When the resident or fellow and the prospective medical education program mutually agree on the selection, a “match” has occurred. The UCSF Fresno residency programs that participated in the NRMP match received more than 4,000 applications and conducted 1,150 interviews for 78 positions. UCSF Fresno fellowship programs that took part in the October/December NRMP match received approximately 700 applications and conducted nearly 200 interviews for 13 positions. The remaining programs filled available positions through another matching service or through interviews. 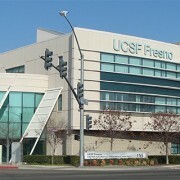 UCSF Fresno currently offers residency training in eight specialties and fellowship training in 14 subspecialties.